Somewhere around two months ago, I drove my boyfriend and I to Long Island for a double feature screening at the Long Island Gay & Lesbian Film Festival. I was super excited because one of the feature films was Geography Club, and I had written a review of the book it was based off of. The film, like the book, was no great shakes but made for nice, light, entertainment. However, the other feature film (G.B.F.) and the additional short film (Boygame) were very well-executed and very enjoyable. For the purposes of this post, I’ll be talking about G.B.F., since out of the three films it was the most entertaining and I’m happy to share that it is now available in the U.S. on Video on Demand and it appears to be rolling out in select theaters (none in New York, currently, according to the official Facebook page). I had actually heard some buzz about G.B.F. before finding out it would be screened at the LIGLFF, but had never seen a trailer or read a description until I was purchasing tickets. The trailer, which you can view here is what sealed the deal for me. I mean, look at that cast! Michael J. Willet (United States of Tara), Paul Iacono (The Hard Times of RJ Berger), Sasha Pieterse (Pretty Little Liars), Andrea Bowen (Desperate Housewives), Evanna Lynch (Harry Potter), Megan Mullally (Will & Grace), and many others appear in the film. 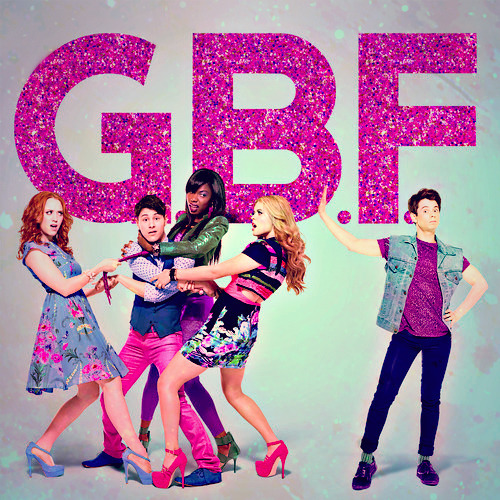 Quite a few reviews from critics are comparing G.B.F. to Mean Girls but I don’t think that’s fair. While there are some small similarities (as there would be in almost any high school comedy), I believe that making comparisons like that will keep people from seeing this film. Michael J. Willet and Paul Iacono were fantastic. I was very excited to see more of Michael after his small part on United States of Tara. While most will also give (well-deserved) praise to Sasha Pieterse and Andrea Bowen, I have to say that Xosha Roquemore (Precious) as Caprice was hysterically and made it easy to fall in love with her character. Plus reading this interview that screenwriter George Northy did for Brightest Young Things makes me that much more interested in and hopeful for his future in screenwriting. His experience with this film and how it ultimately turned out actually gives me that extra push to start writing again. You never know what a story can turn into or where it can go. If you have the ability to watch G.B.F. either in theaters or on Video on Demand, I definitely recommend it.